At a certain level, top executives have different demands on digital communications and networks. That's why we've added new features to the XING premium membership that are specific to decision makers. XING Executives are checked top executives and they are able to show confidently that they are a qualified leader. A XING Executives Circle consists of approximately 15 senior, like-minded executives. In this tight circle, they will meet five times a year for around 3 hours each evening to discuss specific career challenges. They receive valuable impulses and new perspectives for your business - directly and personally from other top decision-makers. My role: visual design, concept, interaction design, shooting supervision etc. 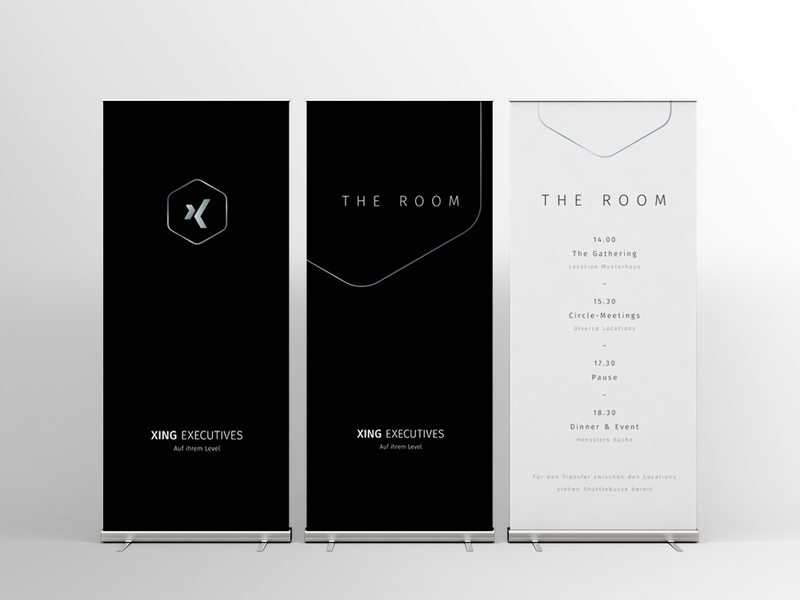 THE Room is an exclusive event exclusively for XING EXECUTIVES. There were various rooms for top executives to shed light on the most important topics like "new-work", to gain valuable impulses for one's own work and to get to know each other. Around 80 XING EXECUTIVES took advantage of this opportunity to exchange visions of a new working world in a fantastic setting. Towards the evening, they found a way to a relaxed ending in Henssler's kitchen.